The Hague’s size and centrality makes it perfect for day trips or short excursions. 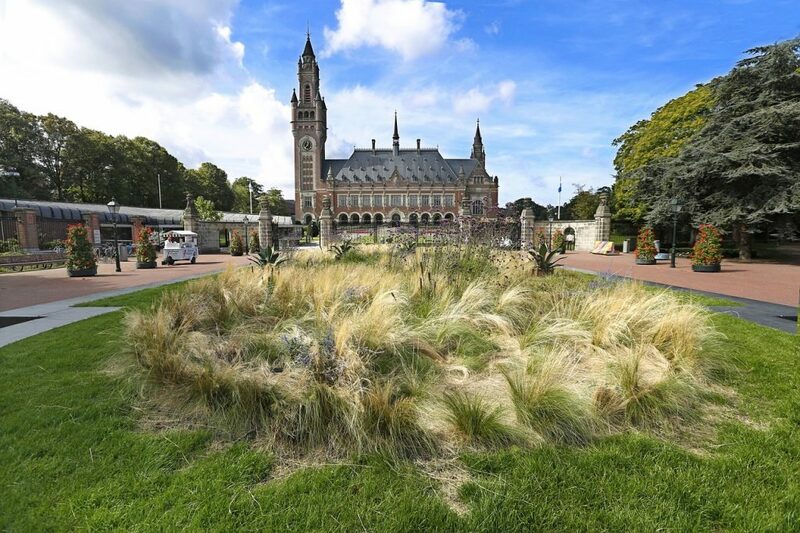 Although exploring the city usually calls for more time than anticipated, by preparing a rough itinerary in advance it is possible to experience many of the Hague’s main highlights within 24 hours- including het Binnenhof and Scheveningen pier. Every day trip deserves a hearty breakfast and in the Hague travellers can choose between a number of excellent restaurants that gravitate around morning service. InStock on Buitenhof serves a mean kimchi burrito and many other delicious brunch meals that pair wonderfully with the restaurant’s excellent coffee. For more local fare head over to Parks whose breakfast menu includes homemade pancakes, classic Dutch fry ups and yoghurt bowls. Both of these restaurants are within walking distance from one of the Hague’s main sights, het Binnenhof. This huge, gothic complex was originally built in the 14th century and has since been converted into the Dutch Houses of Parliament. Although it is possible to take a tour through het Binnenhof, it is advisable to book these excursions in advance. Mauritshuis is just around the corner from het Binnenhof and actually looks directly onto the building. 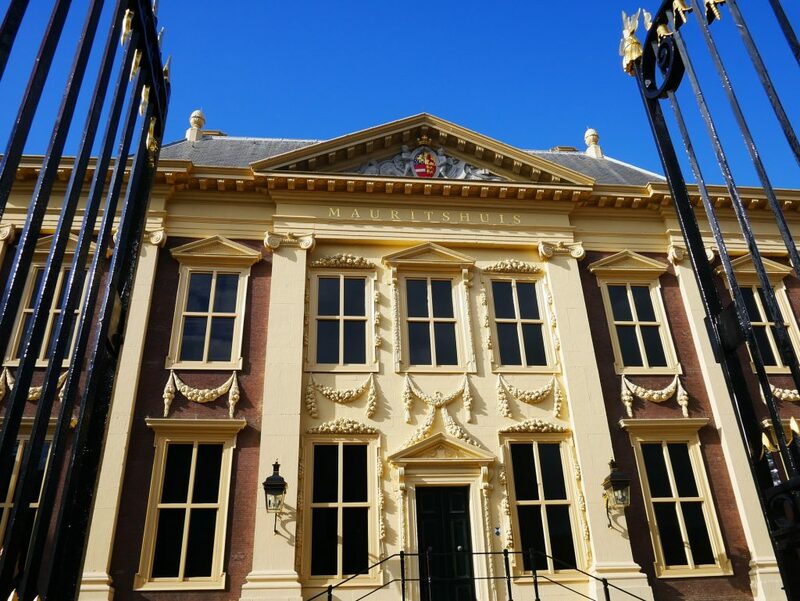 This charming museum features hundreds of important artworks from the Dutch Golden Age including Johannes Vermeer’s masterpiece The Girl with Pearl Earring. While the museum is relatively small compared to larger institutes in the Netherlands it is worthwhile to plan visits ahead as it is easy to spend hours marvelling at Mauritshuis’ collection. From Mauritshuis head over to the Hague’s Centrum tram stop and jump on tram number 1. This routes head towards Sheveningen district and trails past the Peace Palace which is visible on the left. The tram terminates at Zwarte Pad which overlooks Scheveningen beach. There are plenty of places to pick up lunch or snacks in the area such as the Schevengin’s famous pickled herring kiosks or any number of restaurants that are dotted across the beach’s esplanade. Although the Hague is mainly associated with legal and political activity abroad, in the Netherlands its also treated as a resort town due to its beautiful coastline. Scores of locals flock to Scheveningen beach throughout the warmer months of the year and the area has plenty to offer during colder weather. Its pier, for example, features several restaurants and shops as well as an enormous ferris wheel and bungee jump tower. The Netherlands’ only sculpture museum, Beelden aan Zee, is also located in Scheveningen. After taking in the sights at Sceveningen it is definitely worth heading back to the Hague’s centre as there are several excellent watering holes and hangouts. For relaxed vibes, well-made cocktails and international cuisine check out Millers on Plein. Looking for something more rustic? Stroll over to de Paas Beerspecial Café which serves over 170 local, European and international beers, or take a tram ride to Kompaan Brewery which is slightly further afield but offers delicious craft brews and classic pub grub. There are also several theatres and cinemas in the Hague which are open most days of the year including the Royal Theatre, Korzo Theater, and arthouse mainstay Filmhuis Den Haag.